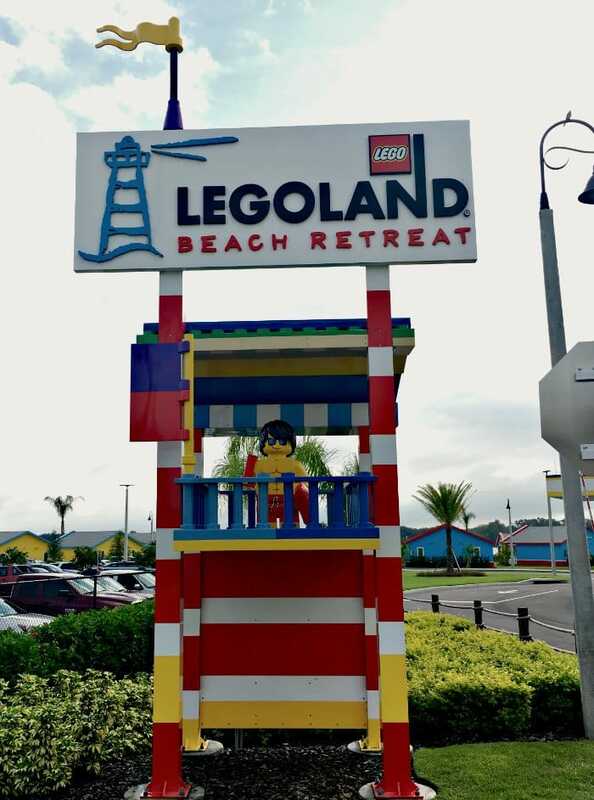 Family Fun at LEGOLAND Beach Retreat - A LEGO Fan's Dream! 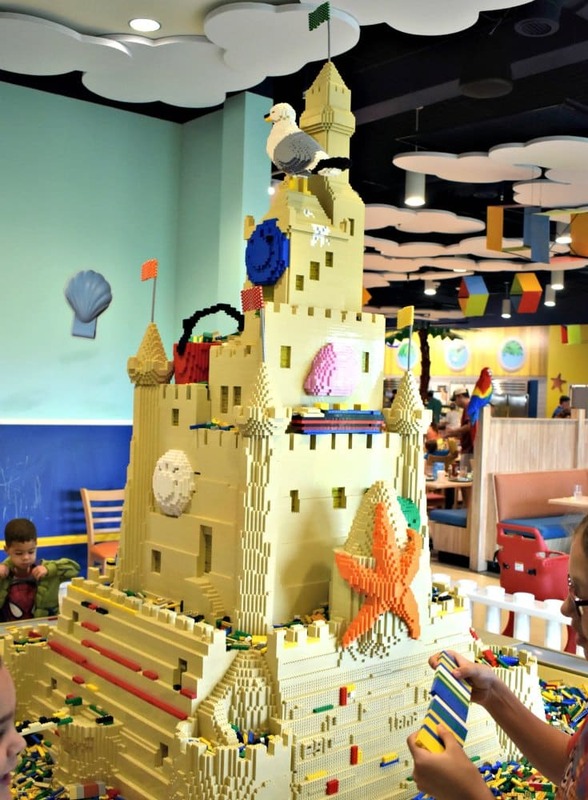 If you are a LEGO-loving family like us, you’ll want to make plans to visit LEGOLAND Florida on your next trip. 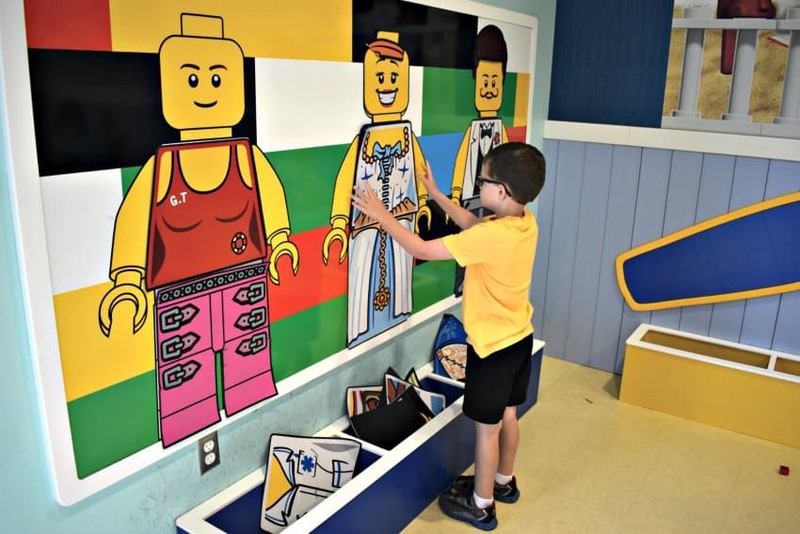 Not only is LEGOLAND fun for the little ones, fans of all ages will get a kick out of the amazing theming throughout the park. But I’m not talking about the park today. Today I am sharing a childhood dream come true; sleeping in my very own LEGO house! 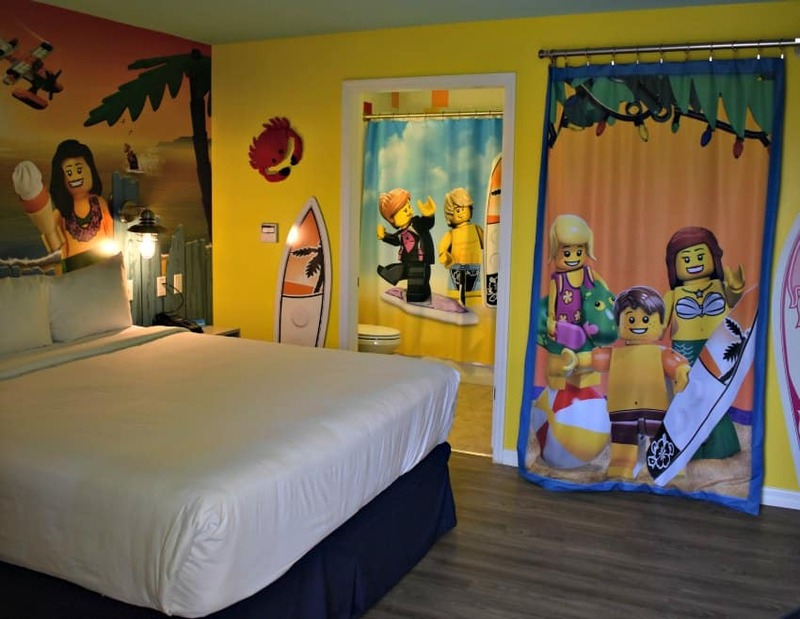 This is only possible at LEGOLAND Beach Retreat and I’m giving you all the details. 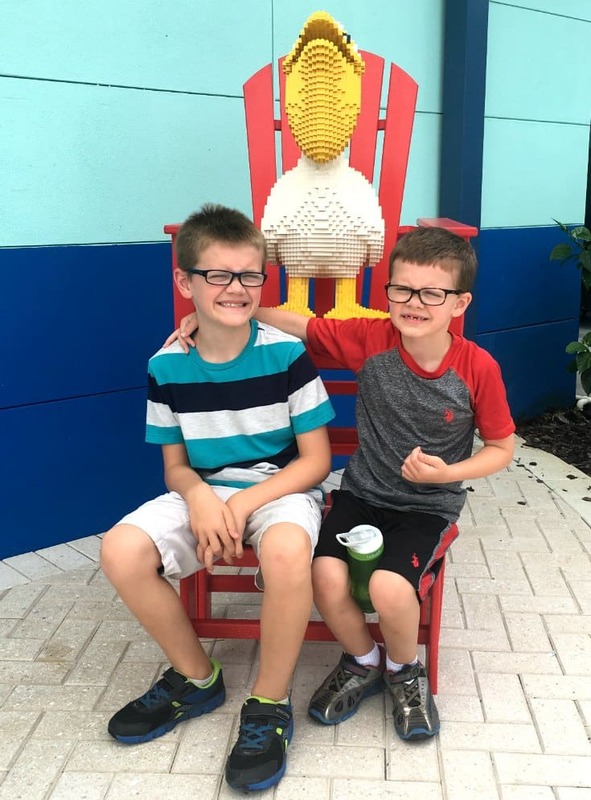 After our recent cruise, we decided to enjoy one last surprise; a day at LEGOLAND FLorida and a night at LEGOLAND Beach Retreat. Calvin (age 6) has been wanting to visit LEGOLAND since the moment he heard about it (thanks YouTube for Kids) and who was I to argue? The place is awesome! As a lifelong LEGO fan, I have been wanting to check it out for quite some time myself and I can’t wait to go back. 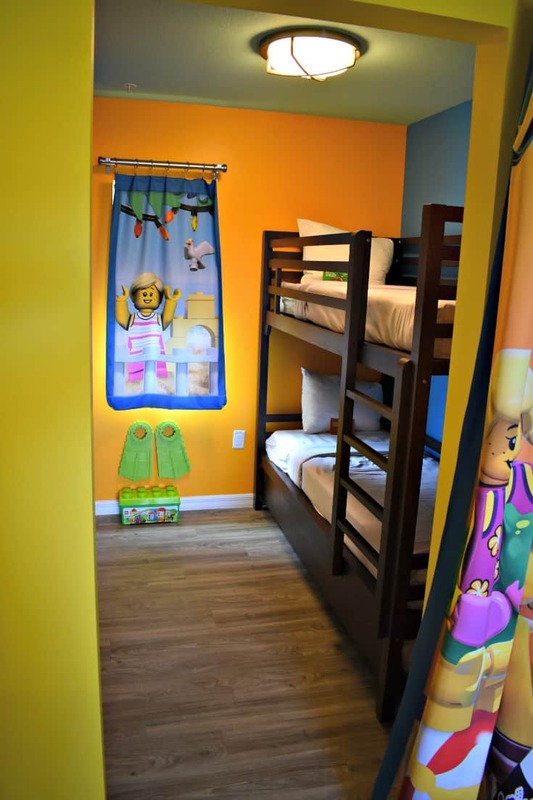 When we arrived at LEGOLAND Beach Retreat, we loved all of the bright colors and it took quite a while for us to make it to our room because we kept stopping for photo ops. I love how the bungalows are situated in little villages throughout the resort. Each section is named after a popular LEGO Minifigure (which is pretty awesome, c’mon) and in the center of each section, there is a small playground for kids to enjoy. The weather was a little rainy but we had a few moments of sunshine peek through so we could enjoy the outdoor atmosphere. Parking is convenient to most of the buildings and it was just a short walk down the path to our bungalow. Each bungalow has a nice covered porch with a small table and chairs for sitting and watching the kids play or having an outdoor snack. Once you step inside, it’s truly like being inside a LEGO creation! The theming is fantastic and colorful in every room and we were very comfortable in the big cozy bed. Don’t worry, the bed is NOT made of LEGOs! Behind a small curtain is a cute little bunk room for kids. I loved that they had their own area and I think they did too! 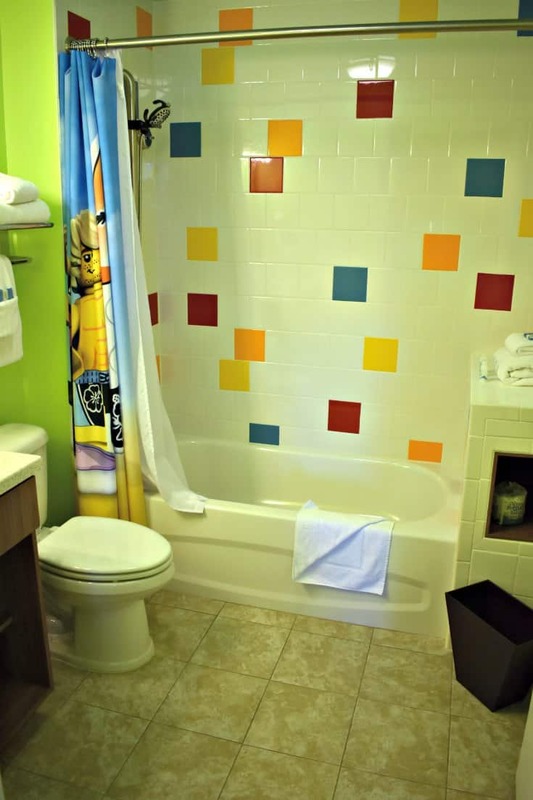 This room even comes with a set of LEGO Duplo blocks to enjoy! While these blocks are intended to stay in the room, you can actually purchase them. In fact, almost everything in the room is available for purchase! This should also serve as fair warning to make sure nothing in the room accidentally slips into your luggage because you will be charged for any missing items at check-out. We made sure the kids knew this fun was meant to stay on vacation! 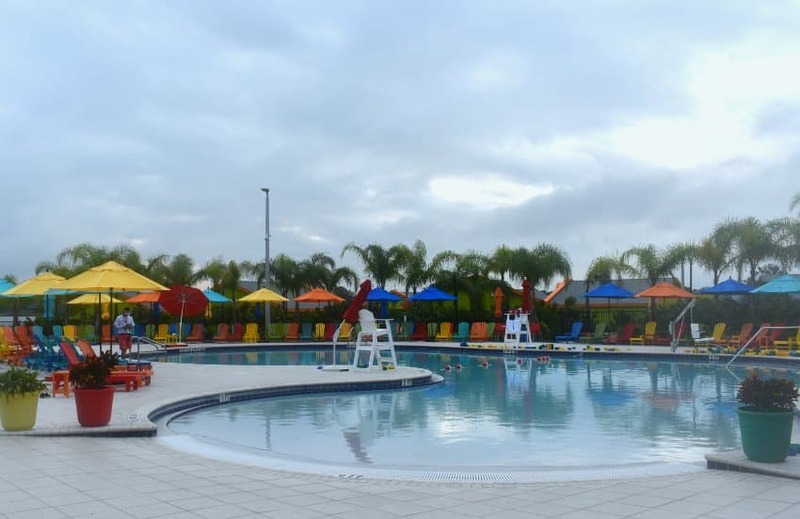 We used all our sunny hours to enjoy LEGOLAND itself so we weren’t able to experience the pool. That said, it looked very inviting and they even have giant floating LEGO blocks to play with in the water. I can’t wait to visit again so we can enjoy the pool! You can also visit Legoland Water Park like we did on another visit. Check out what we thought! 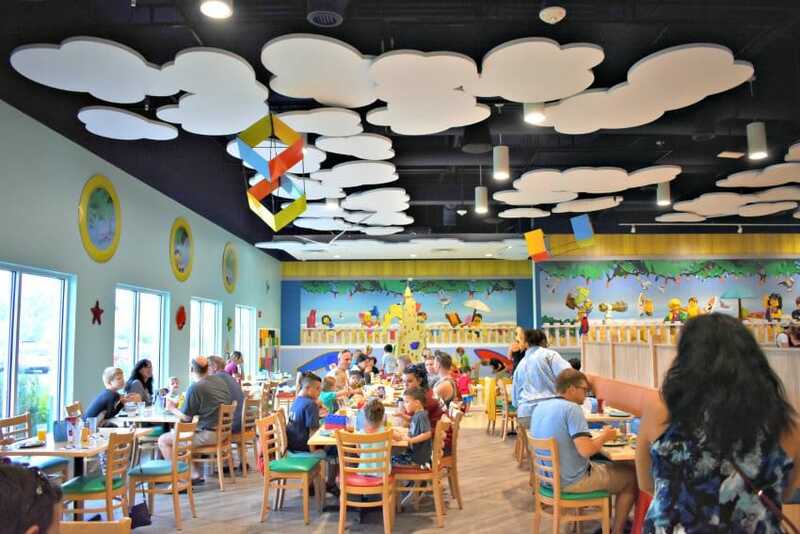 One thing people may not know about LEGOLAND Beach Retreat is that breakfast is included with your stay. I loved this little perk and a nice tasty breakfast was a great way to start a long day of driving. The breakfast buffet had typical fare but I was really impressed with the delicious breakfast burritos they offered. So tasty! Before hitting the road, we let the kids enjoy the play area in the dining room. Not only do they have a giant LEGO build area, there is also a fun magnetic wall of Minifigures. We actually played here the most and now my wheels are turning on how to make our own magnetic minifigs. 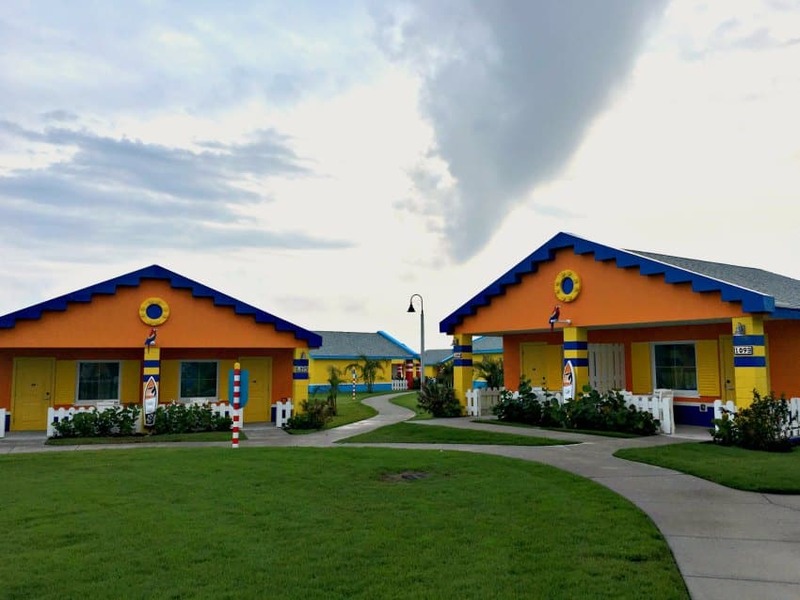 Overall, we loved our stay at LEGOLAND Beach Retreat and would definitely recommend it to others. 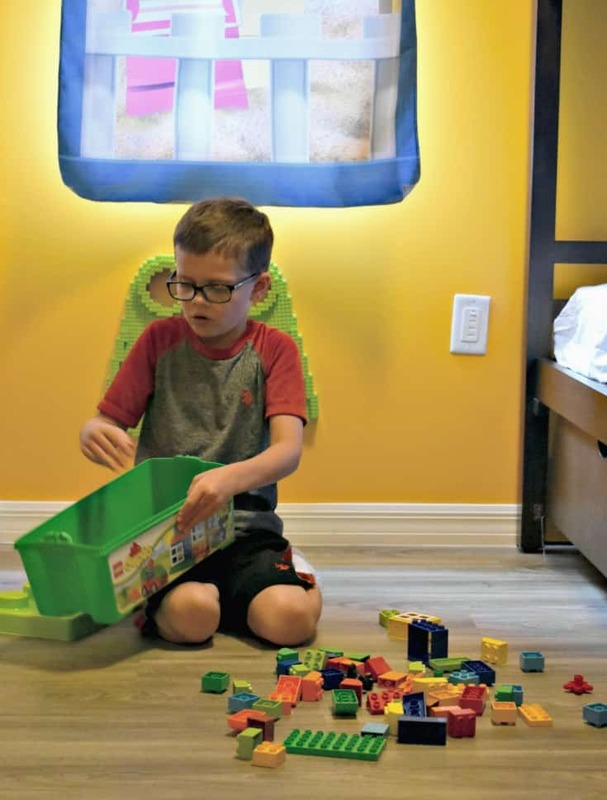 Even though it’s a short drive (think crossing a busy road) to LEGOLAND Florida, having the extra space both indoors and out more than made up for any inconvenience. We can’t wait to go back! 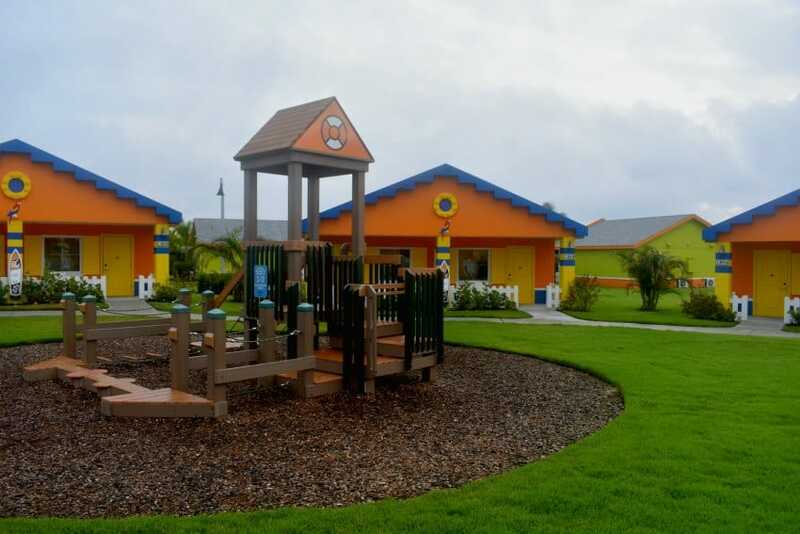 Have you stayed at LEGOLAND Beach Retreat? My family stayed at this resort using discounted Media rates. All opinions are my own. My five year old seriously GASPED when he saw these pictures and asked when we’re going! This looks like such a wonderful resort. It’s SO great for the littles. My boys loved it.